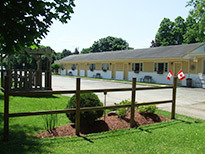 We are located just inside the Eastern Town’s Limit across and adjacent from the Soldiers Memorial Hospital, backing onto the beautiful Rotary Raceway Park, an excellent area to exercise you and your dog. 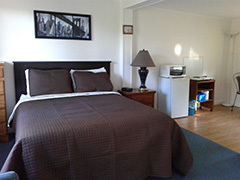 Orchard Queen Motel boasts 8 air conditioned units, including 2 kitchenette units. 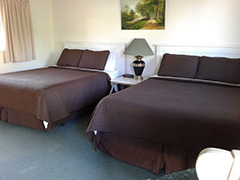 All our Accommodations are Non-Smoking / No Pets. 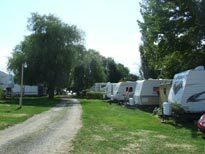 The RV Park consists of 64 sites: 60 sites are Three Way, Full Hook-Up, 30 amp on Town sewer & water, in a peaceful setting with 50 of these Seasonal Sites and 10 Pull-Through Overnight Sites, all sites are dog friendly. 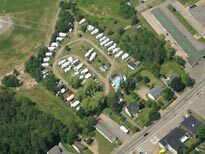 We also have Campground Tent Sites. 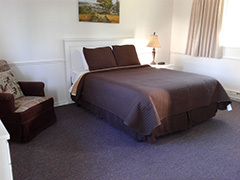 With Orchard Queens ideal location in Middleton, you can take full advantage of all the Town’s conveniences within walking distance of the Motel RV Park, or if Golf is your passion, there are several courses 10 to 15 minutes from the RV Park. 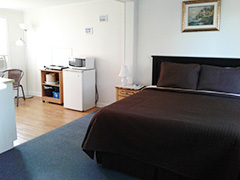 Middleton is also an excellent central location for daily adventure excursions to the many tourist attractions in the Annapolis Valley region. 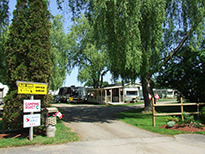 Campground Rest Rooms/Showers, a Recreation Hall, Camp Fire Pits and Wood/ ice (fee).